New for 2012 is our new Safari Welcome Center and banquet hall which includes our already famous Serengeti room, completely decked out in original pictures and artifacts from Africa. The Safari Welcome Center which overlooks our waterfalls, will make any birthday party an exciting adventure. Also available for 2012 is our jungle safari treehouse. The jungle safari treehouse stands 30 feet above the ground with a gorgeous view of our waterfalls as well as the exotic animals throughout the park. Other rooms and pavilions include: the Tropical Rainforest Room, Lion King Room, Mala Mala Pavilion, Sabi Sabi Pavilion, The Australian Outback, The Smokey Den Pavilion, and the Tiger Den Pavilion. For the young and young at heart, your Safari Adventure will not be forgotten. Can’t have the party at the park? Tiger Safari can bring the Zoo To You. 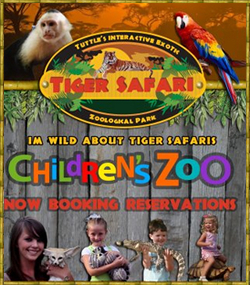 Tiger safari Zoo To You program can bring an array of animals for any birthday party need. We have available to you as few as 6 animals or as many as 20 animals.Tiger Safari has the largest selection of domestic and exotic animals in the state of Oklahoma for your Zoo To You party needs. 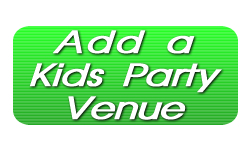 Corporate events / Church Functions/ Schools and Daycare Programs are also available. Tiger Safari Jungle Zoo To You, Whoo Hoo! Bouncin Craze - Edmond OK. 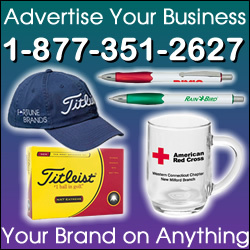 Serving areas: Edmond OK Oklahoma and the surrounding areas. Bounce on in to Bouncin Craze – Your bouncin indoor play center located in Edmond Oklahoma. Bouncin Craze is ready to host all the fun when it comes to celebrating your child’s birthday party. 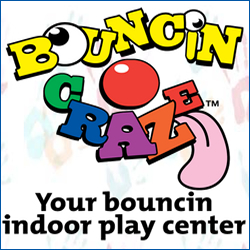 Bouncin Craze is also a great event location for: graduation parties, business team building, day care, church outings, field trip days, mom and home school groups, neighborhood gatherings, team and youth group parties and more! Noah’s Ark Workshop is a traveling Stuff and Fluff Workshop like Build a Bear but I come to your party location! Party packages start at $13.00 and we have a wonderful array of animals and outfits to choose from.